In the middle of September, representatives of the training centers in Eastern Europe came together in Yerevan (Armenia). These regular collaborative meetings have become a treasured tradition for the participants. The group calls itself KRUG – that means ‘Circle’, but is also an acronym for Kyrgyzstan, Russia, Ukraine and Georgia. Faculty members of training centers for anthroposophic curative education and social therapy in these four countries initiated the annual meetings in 2012. In addition to these four countries, the circle now also includes training centers from Moldavia, Bulgaria and Armenia. The first meeting took place in 2012 in Kiev, Ukraine. A year later, the group met in Tbilisi, Georgia, then in 2014 and 2015 in St. Petersburg, Russia, 2016 in Chisinau, Moldavia and 2017 in Lemberg, Ukraine. KRUG is coordinated by three colleagues: Tamara Isaeva from Moscow, Valeriya Medvedeva from Charkov, Ukraine and Marina Shostak from Tbilisi. Tamara represents the training centers in the Training Council. Over the years, the character of the gatherings changed significantly. The first years were still dominated by external presenters. Today, the circle works autonomously, and all the attendees make contributions on training questions. The range of topics is broad. Besides work on basic principles of the Curative Education Course, questions around mentoring processes, instructional methods and training for trainers are taken up. KRUG also initiated and coordinated the new Russian edition of the Curative Education Course. I have been fortunate to have the opportunity to personally accompany the KRUG meetings. I have always been impressed by the quality of the work and the initiative of all those present. 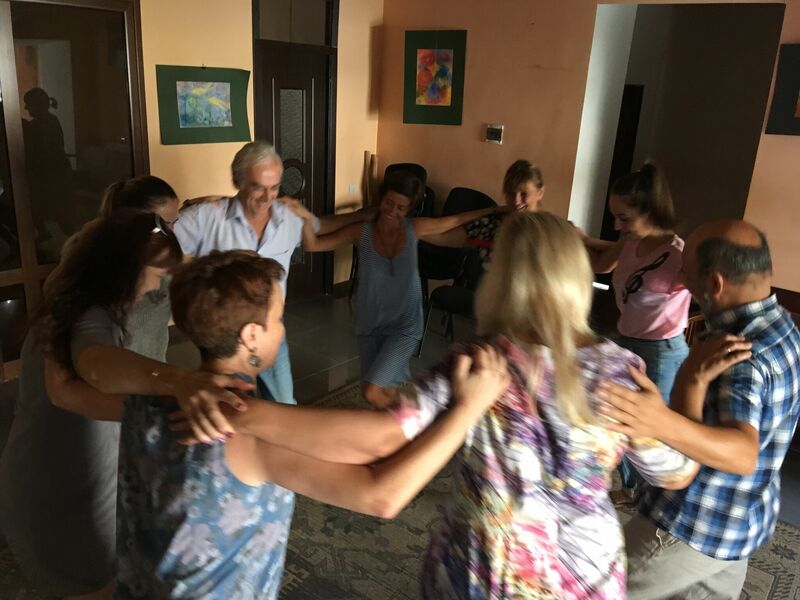 In spite of the political tensions between the countries participating in KRUG, there was always a spirit of genuine collaboration, focused on the shared task in professional training in curative education and social therapy. Besides study and artistic work, each meeting also includes an outing to get to know the local area. In Armenia, we visited Geghard Monastery and the Temple of Garni, two extraordinarily impressive historic sites. The intent is to continue with the meetings, but the financial possibilities are uncertain. The intent is to find a foundation that could support this important impulse for the development of anthroposophic curative education and social therapy in Eastern Europe.